Once a Project Management Institute (PMI) credential (PMP, PgMP, PMI-SP, PMI-RMP) is earned, PMI members must also earn Professional Development Units (PDUs) to keep their credential in good standing. 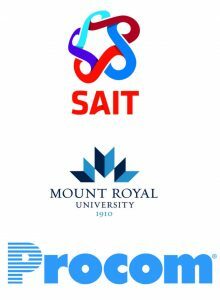 The Project Management Institute Southern Alberta Chapter (PMI-SAC) sponsors many events throughout the year that offer PDUs for our membership. It is up to the member to report their earned PDUs to PMI via the Continuing Certification Requirements System before their 3-year cycle for renewal expires and to retain a record of their participation.The remainder of this page describes how to claim PMI-SAC sponsored PDUs. Click on ‘Report professional development units (PDUs)’ on the left-hand side of the page. Perform the various steps to claim your PDUs providing information as requested. Specific information for each PMI-SAC event type follows. Note: PMI-SAC uses an electronic system to track your attendance at the conference as best as possible. This information will be submitted on your behalf to PMI and you will automatically receive your PDUs for the conference. You should receive a report from PMI.org within a few weeks of the PDUs reported based upon the badge scans at the conference. You are responsible for auditing your own attendance information, and if required, amending your PDUs for sessions for which your badge was not scanned for any reason. Activity Dates: mm/dd/yyyy (started and completed dates are the same for 1-2 hour events). PDUs Claimed: For dinner events, you can claim 1 PDUs. Otherwise, unless specified at the event, assume 1.0. The number of hours you volunteer and the type of volunteering you do will determine which volunteer code to use. Volunteer hours are generally cumulative across an extended period of time. You will need to continue volunteering until you’ve accumulated a minimum of 3 months of hours to meet the volunteer PDU criteria. As with the PDC conference, PDU submissions will be done on your behalf by PMI-SAC administration. Please allow 6-8 weeks for submission notifications to come to you from PMI Global. If you have problems logging your volunteer hours, please contact the VP Professional Development for assistance.